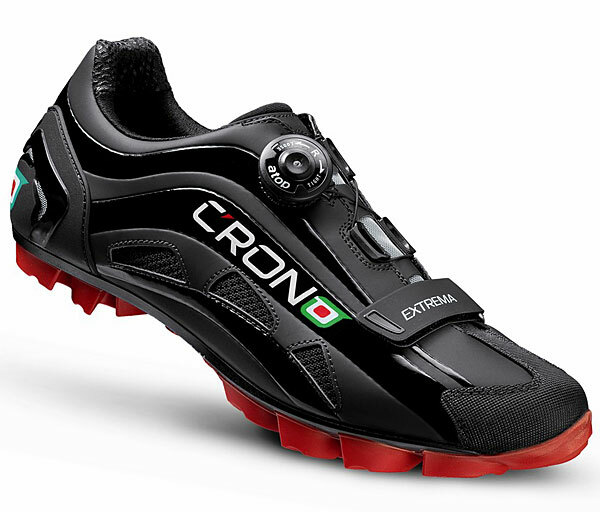 Suited to MTB, this very light shoe is as alike as FUTURA. We have made it stronger by inserting on its top an anti-tear material and by putting on the back a heel made of TPU to protect against excoriations, debris and impacts. It is realized with high light and perspiring microfiber. The new patented closure system ATOP A-A14 is characterized by a micro meter adjustment which enables the precise regulation of both shoe closure, by the means of traction or the release of the special kevlar-twisted thin cable covered with nylon. The high restraining profile of the heel has been realized with an unseated lining by the means of an overlap injection of anti-slip material. The tongue has been studied to give the best comfort at high level; we have chosen a material that easily fits with the foot heat to its morphology. Furthermore, you can also find some ventilation holes to get greater transpiration.